When the Syrian revolution began in 2011, we started to cross into the country to report on the uprising. The trips were often difficult and dangerous — sneaking under barbed wire, hiking over hills, meeting smuggler contacts, trying to avoid regime checkpoints and traveling with heavily armed rebel fighters. By mid-2012 it became clear that the leaders of the free world were largely indifferent to the desperate plight of those paying in blood to try to win their own freedom. At least, they were unprepared to do much about it. The vacuum was filled by battle-hardened extremists. Some were local fighters but increasing numbers were foreign jihadis. The breakdown in law and order, the growing violence and increasing desperation in Syria provided fertile territory for these religious radicals, who began to flock across the porous border with Turkey in ever growing numbers. I remember talking to a moderate rebel commander at a base in Aleppo, Syria’s second-largest city, as the battle raged against regime troops. Dr. Abdul Raouf Al-Kraym was a Rotarian revolutionary, one of the wealthy industrialists who bankrolled the early days of the uprising. He puffed on his pipe, blowing large plumes of fragrant blue smoke into the air as he told me how he was happy to accept assistance from the men in black when the West offered him none. He assured me they could be controlled and contained. By late 2014, ISIS had consolidated its control of large swathes of the north. Journalists, aid workers, opposition activists and fighters were all rounded up, imprisoned, beaten and in many cases killed with a level of barbarism that shocked the world. A funeral held in a community in Raqqa, Syria. One mother at the cemetery mourned the loss of her son, a child-soldier who had lied about his age to join the war. “I was angry because he was too young for war, to face the enemy with a weapon,” she said through tears. Mahmoud was just 13 years old when he was killed by ISIS. Neda, a 5-year-old who had lost her father in the fighting, vowed to avenge her father’s death. Childhood ends early here and the young must learn quickly how to grieve. Neda’s father was one of the fighters killed. 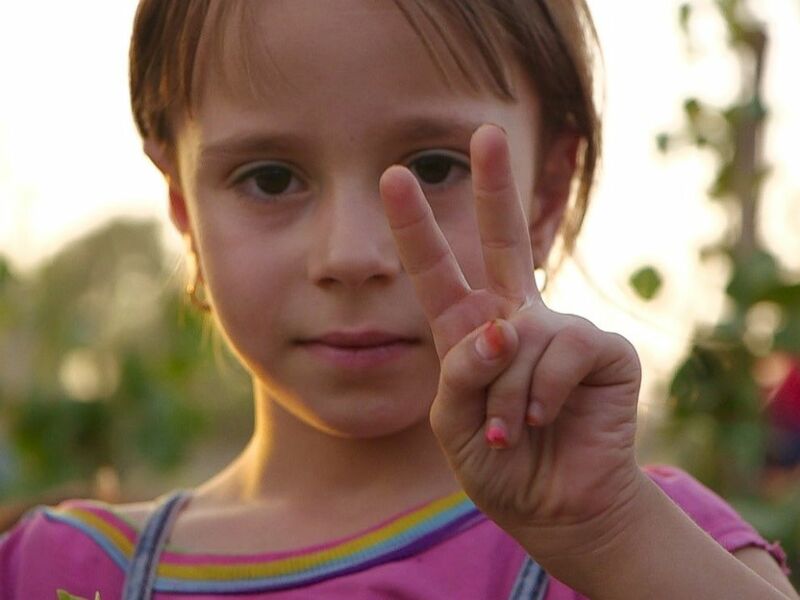 At just 5 years old, she has known nothing but war, and without hesitating, she vowed to avenge her father’s death. “I grieve for him but soon he’ll go to heaven, and I too will pick up arms,” she said. Unlike the fight against ISIS in Iraq, there are no vast armies here. There is assistance from a U.S.-led air campaign that uses drones and war planes to target ISIS, but the militants often hide among civilians, and human rights groups say the ongoing air strikes in Iraq and Syria have killed thousands of innocents. We moved to the front lines with a Kurdish unit led by Sozdar Bawer, a young commander of an all-female force who had joined the fight straight out of high school. Sozdar Bawer joined an all-female fighting force straight out of high school. She now leads a band of young Kurdish fighters — all volunteers. “In street fighting, you can’t control a neighborhood in one attack, we have to move and fight house-by-house,” she said. In the streets and alleys of Raqqa, Bawer and her troops run the gauntlet of ISIS snipers with what weaponry they can get. They don’t have tanks or Humvees — not even body armor. The U.S. has sent some vehicles and guns. Bawer said the weapons they get are “not enough,” but she said she and her all-volunteer fighters are confident they can beat ISIS in the next few months. One sniper in this volunteer army is an unlikely face hunkered down amongst the rooftops — an American. 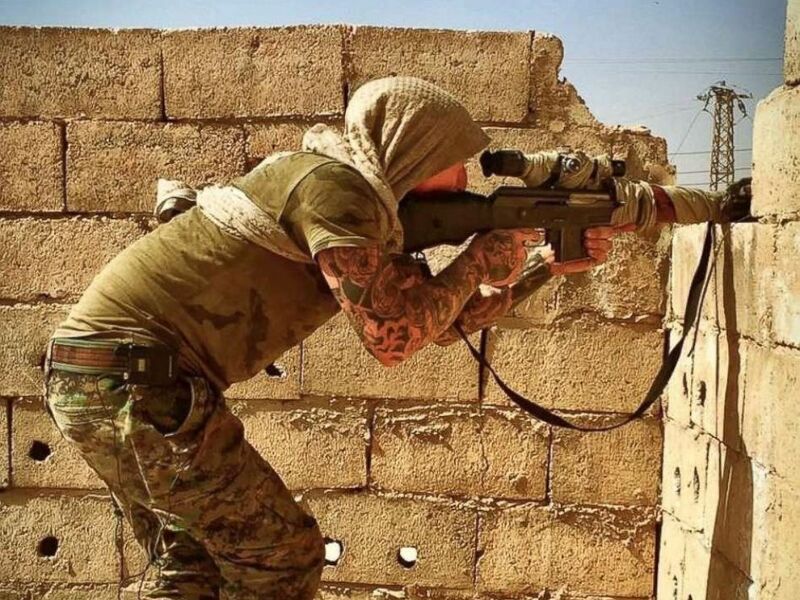 Kevin Howard, known locally as “Christian,” is a California native who volunteered to come to Syria and fight the extremists. Kevin Howard from California volunteered to fight ISIS in Syria. Howard said his motivation for coming to Syria is the attacks ISIS has claimed credit for in the U.S. and Europe. He’s carved the names of those places — Manchester, Paris, Bataclan, Orlando, San Bernardino — on the bullets he fires back at them. The risks here are immense, and Howard is putting his life on the line with every step he takes on the streets of Raqqa. Howard is fighting in a Christian unit that is part of the local forces the U.S. is working with — a multi-ethnic coalition that was formed to take down ISIS. Macer Gifford is another volunteer. He used to be a broker in London’s equivalent of Wall Street, but he’s been fighting for the cause in Syria for three years. Gifford said there are times when he has questioned what he’s doing there, like when he “has been ambushed,” but he has “never really doubted” joining the fight. Without the power of an army behind them, the fighting is as slow as it is dangerous, but there has been progress. 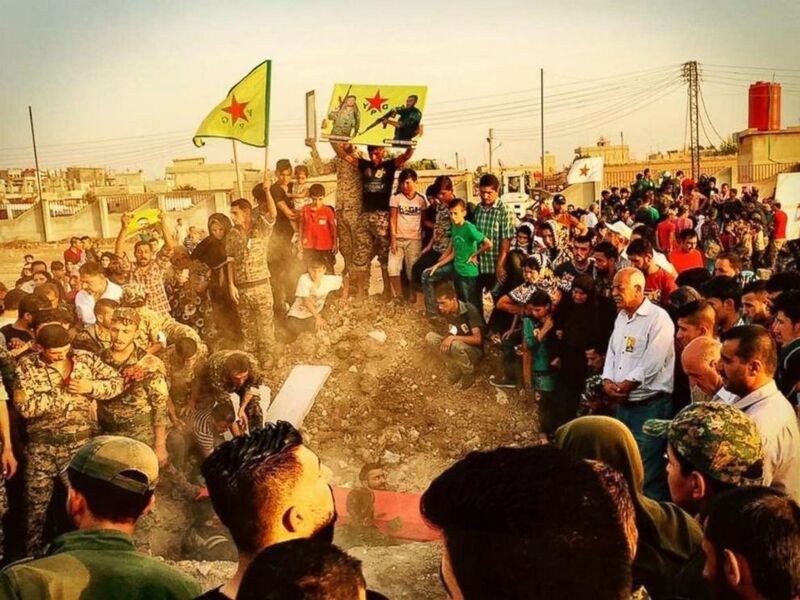 Last month, American allies breached the city walls, giving this volunteer army hope that the fall of ISIS is now within reach. Since this bloody civil war began, millions of Syrians have fled into neighboring countries and Europe, creating one of the largest humanitarian crises of this century, but not everyone has made it out. Some families who fled ISIS end up in a refugee camp outside of Raqqa. One family said they had been traveling on foot and had been trying to escape Raqqa for a month. Many, carrying only a single bag of possessions, said they lost their homes and had very little food to eat. “We wanted to leave but we couldn’t leave,” said one woman. Another woman said her son fled Raqqa to get away from ISIS but was captured by Assad regime forces and is now in Saydnaya, a notorious prison outside of Damascus where abuse and torture are routine. And not everyone in this camp is free. There is a separate section here for ISIS brides — women who come to Syria to marry the extremists. This women said she was born in Germany and traveled to Syria to marry a man she met on Facebook, who was an ISIS fighter. One of the women named Nadia said she was born in Germany and traveled to Syria to marry a man she met on Facebook. He was an ISIS fighter. Nadia, 32, her face fully covered except her eyes, left Germany because she said she was having problems with her family. She said they drove her away after forcing her into an arranged marriage and she was looking for a way out. “My family [is] not good to me, and they allowed this happen to me,” she said. Now she has three children with the ISIS fighter she met online. At the refugee camp, where she was questioned by intelligence officers, Nadia broke down and said she had made a mistake coming to Syria. Nadia claimed she didn’t know what ISIS was or how brutal the extremist group could be when she agreed to come here. 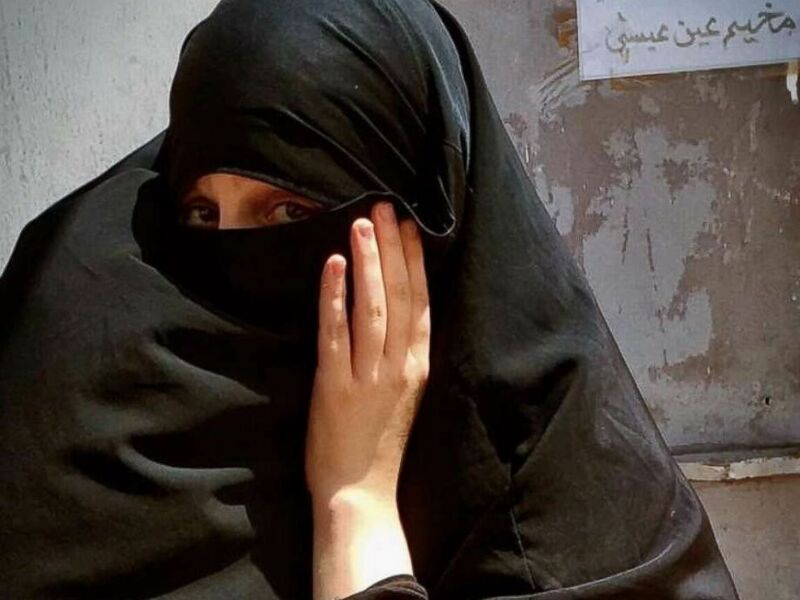 Like many ISIS brides, Nadia’s future, and her children’s future, is now in limbo. Her children have no passports and no country of origin. This war has so many victims: Those who couldn’t escape, those who were left behind, and those who risk their lives every day to stand and fight. 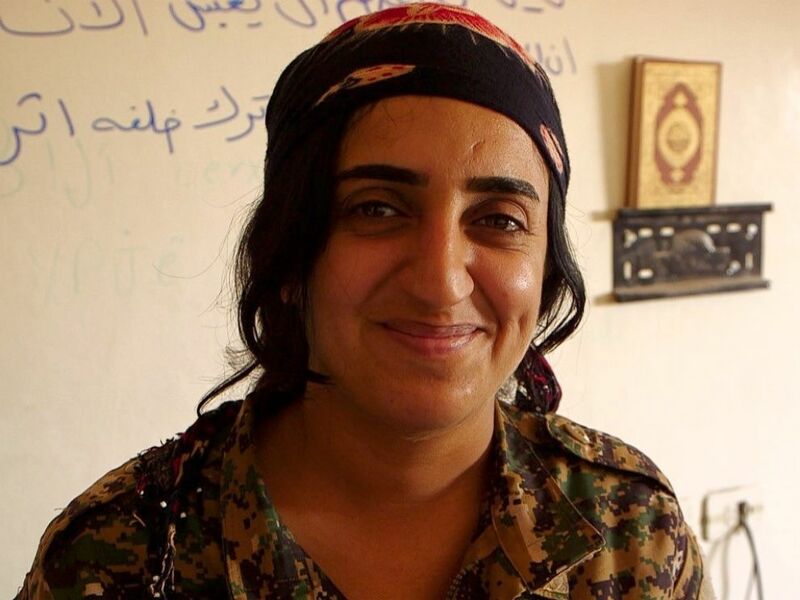 People like Sozdar Bawer and her fighters are driven to the front lines in what they see as a virtuous struggle and the stakes are too great to quit. Bawer was willing to sacrifice everything for peace — and in the end, she did. Just hours after we left her on the streets of Raqqa, she was killed with nine of her comrades. As she was locked in this battle, she said she didn’t think the ISIS ideology would go away after the fighting was over, but she had hope for peace. “Even in the newly liberated area in Raqqa, you can find peace,” she said.